Lawrence, who is the Chair of the firm’s Entertainment Litigation Practice Group, represents institutional and individual clients in a wide range of entertainment and litigation proceedings. He counsels these clients on various topics related to business disputes and litigation prevention, as well as non-litigation matters, frequently in the capacity of outside general counsel. Lawrence has extensive experience in state and federal courts as well as arbitrations and mediations across numerous industries including entertainment, media, technology, finance, real estate, insurance, apparel and manufacturing. He has handled disputes involving copyrights, trademarks, breach of contract, trade secrets, unfair competition, breach of fiduciary duty, fraud, right of privacy, right of publicity, employment, shareholders, partnerships and joint ventures. In the entertainment industry, Lawrence is experienced in representing a range of clients in the music, film, television and other entertainment-related fields including actors, writers, directors, producers, record companies, recording artists, talent agents and agencies, business and personal managers and management companies, musicians, models, production and distribution companies, investors, entertainment guilds and many other individuals and companies. As a counselor to his clients, Lawrence advises, strategizes with and negotiates on behalf of clients, including those involved in litigation and not involved in litigation. He also assists them in responding to pre-litigation claims and resolving disputes, helping them plan to avoid potential litigation, and providing guidance in the structuring of their professional and business relationships and needs. Lawrence is Chairman and General Counsel of the Black Entertainment and Sports Lawyers Association and has served as President of the John M. Langston Bar Association, President of the California Association of Black Lawyers, Chair of the National Bar Association's Pipeline Diversity Initiative, a board member of The Greater Los Angeles African-American Chamber of Commerce Education Fund and Foundation and officer of the 100 Black Men of Los Angeles, Inc. In addition, he has served as Chair of Litigation for the American Bar Association's Forum on the Entertainment and Sports Industries, Executive Committee member of the State Bar of California’s Litigation Division and as a Board Trustee of the Los Angeles County Bar Association. 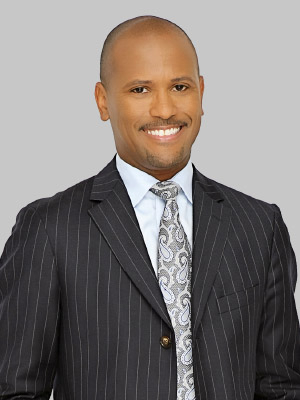 Lawrence is a frequent speaker at conferences, seminars and law schools throughout the country.